Experience the history of Cusco with this magical luxury boutique hotel that transports you through time in a Spanish house historical cultural heritage of Peru Inca built on a complex - occupied by the ruling nobility and which is named after former House Cartagena Entrusted house of Cuzco Don Fernando Cartagena and Santa Cruz. Historical Monument denomidado Casa Cartagena and Santa Cruz de Cusco was acquired in July 2006 by a company italiana.El restoration project Minusio House was studied by the Italian architect Roberto Bertetti (www.robertobertetti.it ), who was appointed by the company to restore the former splendor of the property, without altering its historical value. Work began in September 2007, under the close supervision of the National Institute of Culture of Peru, with a slow and Minusio restoration work, while keeping intact the original walls of the house and reusing the same materials with which to construct the previous structure. 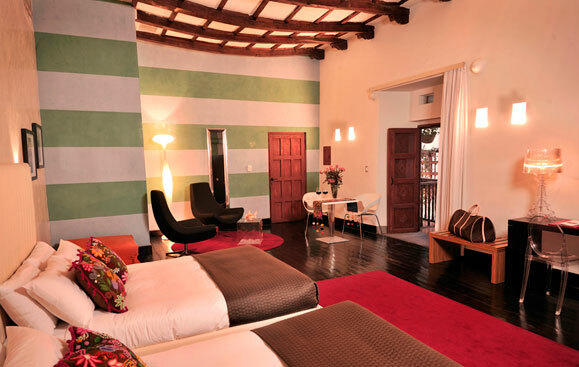 Cartagena Boutique Hotel Casa Cusco is located in the centerhistorical Pumacurco Street # 336, 200 meters from the Plaza Mayor del Cusco, Archeological Capital of America, declared by UNESCO. Cartagena house was built in a field or urban area intended for the Inca nobility, today this area remains one of the most important and quiet, surrounded by major businesses, restaurants and attractions in the city while small streets stone features a mixed city that they will enjoy the daily life of Cusco. Sixteen luxurious suites surrounding two courtyards, where the passing of time unfolds in an elegant and delicate.Located two blocks from the main square in the historical center of Cusco and just a few meters from the plaza Nazarene, an area considered the most elegant part of town surrounded by stunning Andean landscapes. 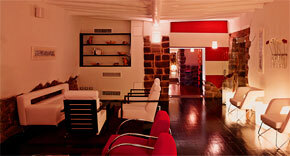 Spacious and comfortable suites with balcony (4), have all the facilities necessary for you to feel at home. Suites Colonial in intangible block, keeping the architecture,design and size, demonstrating the frescoes of the period found during restoration, Our Master Suites as well as spacious and comfortable, offer a unique style and atmosphere. Suites Colonial in intangible block, keeping the architecture,design and size, demonstrating the frescoes of the period found during restoration, Our Master Suites as well as spacious and comfortable, offering a style and atmosphere única.Colonial balcony featuring a Republican, provides a privileged view of the emblematic district alrededoresdel Artisan San Blas.La architecture of this environment, offers the independence of social and private areas if necessary. Colonial Suite vistadesde privileged for its beautiful colonial terrace stone arches, you will live a pleasant and peaceful atmosphere, as well as beautiful to behold the image of the city's main protector: Cristo Blanco. It has 2 levels that will give greater comfort. Loft with 2 queen size beds and private bathroom fully installed. Oxygen enrichment system in the room. 2-way system. Cable LCD television and DVD. Service telephone for local and international. There Teuco whirlpool tub with a capacity for 4 people comfortably installed. The room service is available 24 hours.The guests can enjoy in your suite from breakfast to dinner by candlelight with gourmet dishes from our menu together with a bottle of Gran Reserva. La Chola Cusco Restaurant has a legendary story in the middle of the twentieth century worked here a cookhouse with the same name, famous throughout the city for being a meeting place for renowned artists, poets, writers, politicians and intellectuals.Among the most famous visitors can not fail to mention to Pablo Neruda, who, inspired by the majesty of Cuzco and in love with the beauty of the house during his stay he composed much of his work referred to Cusco and Machu Picchu.Su culinary tradition has been restored and recovered giving new life to the restaurant offers a menu with dishes from the new Peruvian and international cuisine, the wine cellar built inside an Inca wall helps maintain the quality of a rich selection of wines with different characteristics. Relax talking in front of the fire in the fireplace while enjoying a Gran Reserva from our cellar, or select a book from our library sipping an espresso made with organic coffee of the highest quality of the Cusco jungle. Our two Lobby bar, both with a fireplace and central heating, feature lighting to create a welcoming atmosphere at night to relax before dinner or a walk around the city, while in the day are functional, perfect for a meeting before the start of the day. A casual, contemporary atmosphere and enjoy our terrace with a spectacular view of Christ, protector of the city, where you can enjoy a glass of Champagne or a Pisco Sour or learn to prepare with our bartender. Our terrace has a roof and an open area around the main courtyard, where you can talk with absolute ease, whether in the day under the blue sky of the Andes or in the clear night. Qoya Spa is a modern and sophisticated relaxation area of 350 m2 on three floors to make your stay in Cuzco even more enjoyable.The first level features a whirlpool of 8 meters, Inca Trail cobbles relaxing and a spectacular view of the neighborhood of the Artisans of San Blas, thus you experience a variety of rewarding feelings and health. The second level is dedicated to being male, has Turkish baths, massage rooms where you can enjoy beauty treatments, relaxing, invigorating, while the third level we have reserved for women. The massage rooms and spa pool are equipped with an oxygen enrichment system, the same as found in the hotel in order to enhance and provide a more pleasant and relaxing stay.